The Slate Plus Digest for June 9. 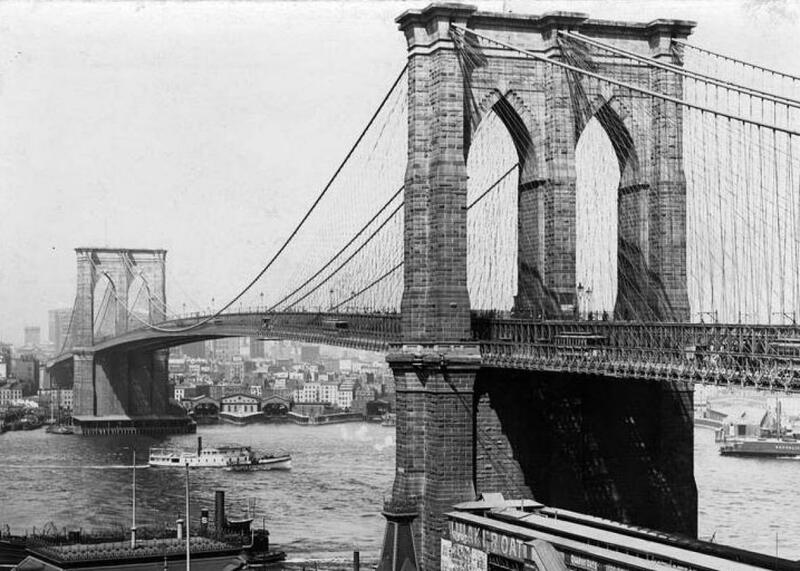 The Brooklyn Bridge in 1904. Just as President Trump promised, the political world has spent the past week obsessing about infrastructure—and Slate has all the sharp, opinionated, counterintuitive infrastructure coverage you’d expect. Here’s Henry Grabar on the problem with Trump’s air-traffic-control proposal. And here’s Daniel Gross on the need for states and cities to stop waiting for help from Washington. Isaac Chotiner talks to David Runciman about the remarkable election that took place in Britain on Thursday. Willa Paskin defends New York magazine movie reviewer (and former Slatester) David Edelstein with a full-blown defense of libido-driven criticism. And novelist Emily Schultz reveals what she learned about writing from raising a child on the autistic spectrum. Other publications wrote things too. Bloomberg points out Trump’s habit of promising big things in two weeks. The great cartoonist Chris Ware, on the great artist Saul Steinberg. Ben Zimmer traces the history of Putin and Trump’s favorite argumentative tactic: whataboutism. Slate’s own Jack Hamilton on the problem of rock criticism. How to write an internet essay to support your novel. The scary-sounding phrases structurally deficient and functionally obsolete combined with those big numbers are enough to make you bite your nails bloody every time you drive over a river or beneath an underpass. Yet if any of the cited pieces paused to define either inspection term, you’d come away from the alarmist stories with a yawn. Thanks, as ever, for your membership.